No person under the age of 18 should use the Site without the consent of their parent or legal guardian. Use of the Site by any user shall be deemed to be a representation that the user is 18 years of age or older. Your order constitutes an offer to us to buy a product. All orders are subject to acceptance by us. We do not provide any warranty or guarantee as to the accuracy, completeness or suitability of the information and materials found on this website for any particular purpose. You acknowledge that such information and materials may be incomplete and contain inaccuracies or errors, that your use of such information or materials is entirely at your own risk, and we expressly exclude liability from your use of such information or materials to the fullest extent permitted by law including but not limited to indirect and consequential liabilities. Orders are sent using Australia Post and some Orders may require a signature on delivery. By placing an order on this website (Puzzle Palace Australia), you authorise the passing of email and mobile phone details to Australia Post for the purpose of providing tracing notifications. This Site and all materials on the Site, including, but not limited to, images, illustrations, posts, audio clips, video clips (the “Materials”) is the property of Puzzle Palace and its affiliates and licensors and are protected from unauthorised copying and dissemination by copyrights that are owned or licensed by the Company and by copyright law, trademark law, international conventions and other intellectual property laws. You may not reproduce, perform, create derivative works from, republish, upload, post, transmit, or distribute in any way whatsoever any Materials from this Site, or any other web site owned or operated by the Company without the prior written permission of the Company. Puzzle Palace Australia is not responsible for the content of any sites that my be linked to or from puzzlepalace.com.au , or any bulletin board associated with Puzzle Palace Australia. These links are provided for your convenience only and you access them at your own risk. Any other Web Site is independent from Puzzle Palace Australia, and Puzzle Palace Australia has no control over the content of the other web site. In addition, a link to any web site does not imply that Puzzle Palace Australia endorses or accepts any responsibility for the content or use of such other web sites. In no event shall any reference to any third party or third party product or service be construed as an approval or endorsement by Puzzle Palace Australia of that third party or of any product or service provided by a third party. We may at our discretion accept or reject orders, or advise you of our inability to process your order for any reason. Additional terms and conditions may apply to the sale of products shown on the Site. 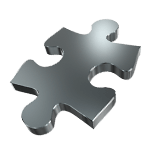 The information contained in this Site is for general guidance on topics selected by Puzzle Palace Australia. Such information is provided on an “as is’ basis and is used at your risk. There may be delays, omissions, or inaccuracies in information contained in this Site. To the fullest extent, Puzzle Palace Australia excludes all liability for any loss or damage suggested or incurred by you or any third party whether special, incidental, indirect or consequential loss or damages or any loss of data, profits, income, goodwill, contracts, use of money, or any other loss or damage whatsoever arising out of or in connection with the use of, or the inability to use, this site or the information contained on this site, even if Puzzle Palace Australia (or any third party posting information on this site). Puzzle Palace Australia may, in its sole discretion, terminate or suspend your access to all or part of the Site, for any reason, including without limitation, breach of these Terms and Conditions. If you breach these Terms and Conditions, your authorisation to use the Site automatically terminates and you must immediately destroy any downloaded or printed materials and content, and the Business has the right to refuse any and all current or future use of or access to the Site. Puzzle Palace Australia operates the Site from within Australia. Your use of this Site is governed by and construed in accordance with the laws of the State of New South Wales, Australia. Puzzle Palace Australia makes no representations that content and materials on the Site are legal or appropriate for use from outside Australia. If you choose to access the Site from other locations, you do so at your own risk and are responsible for compliance with any and all local laws. You may not use the Site in violation of Australian export laws and regulations. The product price excludes delivery costs, which will be added if applicable to the total amount due. Prices are subject to change at any time. Our site contains a number of Products and it is always possible that, despite our best efforts, some of the Products listed on our site may be incorrectly priced. We are under no obligation to provide the Product to you at the incorrect (lower) price, even after we have sent you an Order Confirmation. Please note that you must pay for the Products at the time you place your order. No credit card information is provided to Puzzle Palace Australia. Puzzle Palace Australia will accept product returns for a replacement or refund at our discretion if the goods provided was damaged and/or was not of acceptable quality. You may not return goods outside of the 30 day money back period if you have a change of mind. Our goods come with guarantees that cannot be excluded under the Australian Consumer Law. You are entitled to a replacement or refund for a major failure, You are also entitled to have the goods replaced if the goods fail to be of acceptable quality and the failure does not amount to a major failure. If your goods arrive faulty or damaged, we will at our discretion either provide a full refund or dispatch replacement goods as soon as possible after the faulty goods have been returned to us and confirmed by us as faulty. Goods claimed as faulty or damaged on arrival must be returned to us within seven (7) days of receipt together with original packaging and receipt as proof of purchase in order to claim the refund or replacement. You must pay the cost of shipping the goods to us, but we will pay the shipping cost of replacement goods to you. If you wish to return goods because they fail to comply with the manufacturer’s warranties or the warranties under the Australian Consumer Law, please contact us and we will be able to advise you in regard to availability of a refund, exchange or a replacement of like product as appropriate depending on the product in question. All returned goods must be unused, with original packaging and in saleable condition. Receipts must be valid and intact. All return shipping costs from the customer to us are to be covered by the customer. Where a refund is given for any reason, payments made in cash will be refunded as cash and payments by credit card must be processed back onto the original credit card used by the customer. Contracts for the purchase of Products through our business and our site and any dispute or claim arising out of or in connection with them or their subject matter or formation (including non-contractual disputes or claims) will be governed by NSW law or, where applicable, the Commonwealth of Australia. Any dispute or claim arising out of or in connection with such Contracts or their formation (including non-contractual disputes or claims) shall be subject to the exclusive jurisdiction of the courts of NSW. We have the right to revise and amend these Terms from time to time to reflect changes in market conditions affecting our business, changes in technology, changes in payment methods, changes in relevant laws and regulatory requirements. You will be subject to the policies and Terms in force at the time that you order Products from us, unless any change to those policies or these terms is required to be made by law or governmental authority (in which case it will apply to orders previously placed by you), or if we notify you of the change to those policies or these Terms before we send you the Order Confirmation.